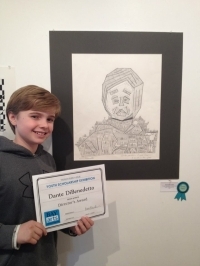 Dante DiBenedetto won the Director's Award, the top prize in the Ruth Purdy Leslie Scholarship Show at BAYarts. More than 70 students participated in the 2014 Ruth Purdy Leslie Scholarship Exhibition "Black & White" in BAYarts' Dianne Boldman Gallery in March. Judges for this years event were Loren Naji, artist and owner of Loren Naji Studio Gallery, and Karen Menyhart, photographer and BAYarts instructor. "All of this work was amazing," said Naji. "It was so inspiring to me as an artist to see the creative work of these students." 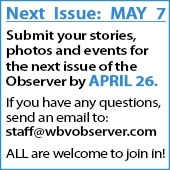 Submissions were from schools across northeast Ohio with the theme "Black and White" as the only guideline. The exhibit is open to students in any school district in grades K-12 each March. See BAYarts' Facebook page for more photos of this year's exhibit.